We found out yesterday that the rumour mill was right and Mary Portas will not be coming to Forest Hill just yet, but we are not disheartened. We always knew that the competition would be tough and that, with only 12 Portas Pilots for the whole country, it was unlikely that there would be two winning bids in London. We just hoped that our bid and supporting video were strong enough to win the day. However, we've not sat back and waited for Mary to come and get us out of our difficulties. We've been working very hard to help ourselves. The Portas Pilot bid process acted as the catalyst to bring many ideas to fruition, encouraging people who had been talking about possibly doing something to decide that this was the time to act. We have started building the database of traders, landlords and local organisations which Mary recommended in her review. 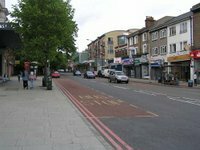 This was something we had been developing, but the bid focised our attention and we have managed to contact most of the retailers in Forest Hill and several of the landlords. There have been some who are not interested in participating and others who are wary of our motives, but generally the reaction has been positive once the purpose was explained and the more we do, the more are willing to join in. We have organised and run a Food Fair, which far exceeded our expectations and lead to several retailers having their best Sunday ever. The Food Fair was so much more than just a market. With just ten stalls, we managed to prove that there is the demand for quality produce in Forest Hill. Several stalls sold out in the first 90 minutes of trading while Franklins, who brought ridiculous amounts of stuff (their words), also sold it all. The addition of the Tapas Taster Trail was a great success as it pushed the food lovers out to the restaurants and has seen many of the customers who tried the £2 specials returning for more. Traders who initially feared that they would lose custom as the stalls were selling similar products, benefitted from the increased footfall and want to see the event run again. Some of the stall holders would like us to run the Food Fair on a weekly basis, but that is probably a step too far. However, we will be running another Food Fair on Sunday, 3 June from 10am to 4pm with a few more stalls. 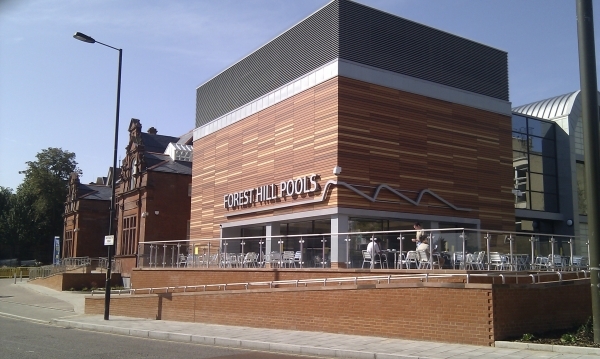 We have increased our planting at Forest Hill station, in the Town Centre and at Honor Oak Park station. We are entering the RHS "It's Your Neighbourhood" scheme again as well as "Lewisham In Bloom"
St Augustine's have held the first of what they hope will become an Annual One Tree Hill festival, with nine concerts and several other events, this has celebrated the creative heart of Forest Hill, bringing together local artists, musicians and organisations with a fantastic line up of events from community singalongs to classical arias via folk music and clowning. We worked really hard to get the recently rediscovered "Indian Lady and Tiger" clock by Kit Williams (of Masquerade fame) displayed in the church, but were ultimately unsuccessful. Havelock Walk artists have run two Open House weekends as part of the Dulwich festival and many other local artists also showed off their amazing talents and creativity. Two new businesses have opened up on Dartmouth Road. We would like to welcome Chantel of Best of Both Boutique and Clare of Marie's Boutique to the street and wish them every success. They have been overwhelmed by the support and reception they have received. Agata will be opening a third business, Doopodopo, also on Dartmouth Road. Doopodopo will be selling contemporary and designer furniture and accessories. We just need to work with landlords to get the right tenants into the remaining vacant units and help those quality businessses which are struggling to survive. The Council has finally reached agreement with Network Rail on the design, terms and responsibilities for refurbishing the underpass which links the Perry Vale and London Road sides of the Town Centre. This is the result of more than six years of campaigning and pressure by the Sydenham Society and Forest Hill Society. Although Network Rail are currently refusing to refurbish the steps and provide handrails, we will keep the pressure on them to undertake this important work. We have had initial meetings with several people regarding the replacement of the mural in the underpass and have met one of the young lads who did the work 15 years ago. We hope to bring the Horniman Museum together with Havelock Walk and other local artists to develop an idea which will celebrate the richness within our community. The Trader's Association had faltered following the death of Michael Davey last year. We have organised two meetings, which have been well attended by traders from the Town Centre as well as councillors and Council officers, and a new committee has been elected. It is wonderful to see the energy and enthusiasm from this group and we have high hopes that they will be able to help drive our agenda forwards, working together to improve the Town Centre. We have met with local magazine publishers to discuss how we can work together to market Forest Hill better and improve their circulation. Boutique marketing consultancy, Bake London has run two networking events in local bars. These events provide a venue for professional people to meet and form business relationships or simply to discuss local problems and provide solutions. The Local Assembly has met and is developing an action plan for the ward which will address the priorities of the Assembly, including the Town Centre. The new leisure centre is about to open, several months ahead of schedule. Businesses along Dartmouth Road really suffered when the pools closed in 2006 and suffered further when Thames Water had the road closed to through traffic for two years during which they replaced the water main. We are already starting to see the effect that reopening the pools will have on their prospects. Firstly, congratulations to Bedford, Croydon, Dartford, Bedminster, Liskeard, Margate, Market Rasen, Nelson, Newbiggin by the Sea, Stockport, Stockton on Tees and Wolverhampton. We will be bidding for funding in Round 2 of the Portas Pilots. Before we do that, we will be talking to DCLG to try and find out what they thought of our bid, its strengths and weaknesses. We will also be looking at the winning bids to see what lessons can be learned and how we should modify our bid. Whatever happens, we will need to update our video so that Mary is aware of the progress we have made since the beginning of April. If she or Grant Shapps would like to see the opportunities for themselves, here are just some of the events happening in the next few weeks.